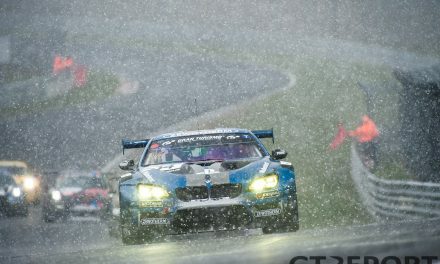 Forever the 24 Hours of the Nürburgring has turned its back to Land Motorsport whenever the team came close to winning. Never did Wolfgang Land make the long walk to the podium to accept the winner’s trophy. The family-run team from the small German town of Niederdreisbach, however, never gave up. 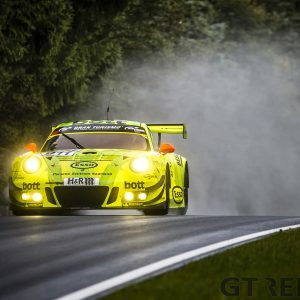 Last year, after an absence of many years, they returned to the Nordschleife. 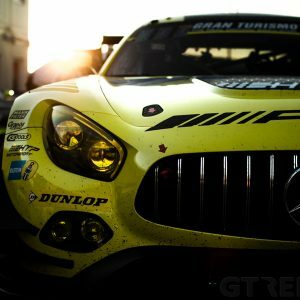 On 28 May 2017, after decades of trying, Land Motorsport took its biggest prize ever. The forecast had been calling for sunny days and warm temperatures for weeks now. 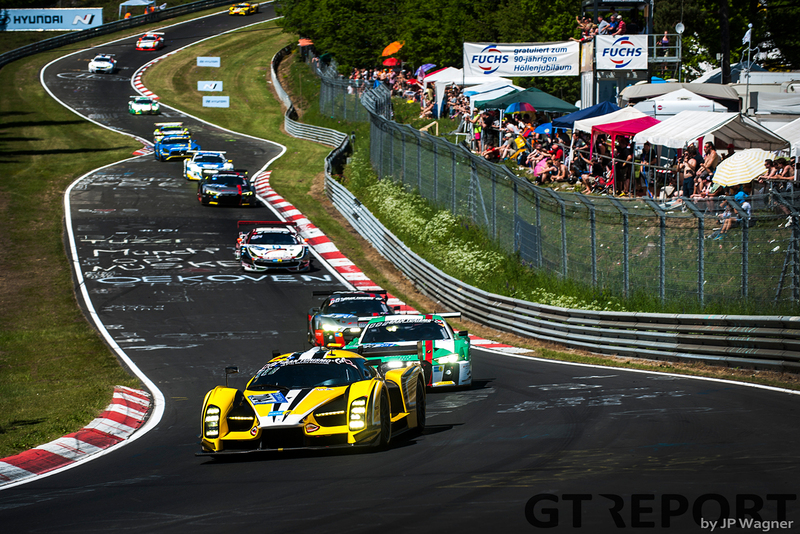 Everyone knew what was coming, but with each day that the 24 Hours of the Nürburgring drew closer, it kept getting hotter and hotter until on race day the meters hit the high 20s. A day and night in the Eifel turned into a grueling battle of men and machine against each other and nature. With the sun in his face, Jeff Westphal puts his foot down and accelerates the pole-sitting SCG003c towards the green flag for the start of the 45th running of the ADAC Zurich 24h-Rennen. The American is followed into the 24 hours by a 154-car long festoon of cars. Scuderia Cameron Glickenhaus, racing under the banner of Traum Motorsport, is in its element. The crew finally found the speed to mix it up with the frontrunners, the pros, the manufacturers. The Qualifying Race a month ago already showcased the team’s capabilities, edging close to victory but breaking down in sight of the finish. The dream that day died with a brake failure and smash into the guardrail, but today is more alive than ever before. 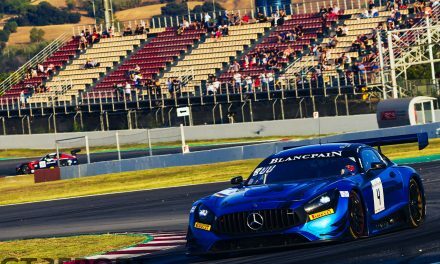 Westphal stunned the crowds the evening before when he snatched pole position from the clutches of the manufacturers, going faster than compatriot Connor De Phillippi who was unable to retake the top position on his third and final hot lap. Two laps into the race Westphal jumps out of Pflanzgarten II. Slaloming through traffic has already begun when he catches the back of a slower BMW at the Stefan-Bellof-S series of fast corners. René Rast in the second-placed WRT Audi R8 LMS GT3 sees the SCG003c backing off and strikes to take the lead as he does keep the momentum going through the sweeping esses. Westphal isn’t having it and stays close to the Audi. Two laps later, exiting a Code 60 Zone at Hatzenbach, Rast is too close to the back of another car and can’t see the marshals waving the green flag. Westphal, as sharp as a razor in recent races, shoots past Rast back into first. 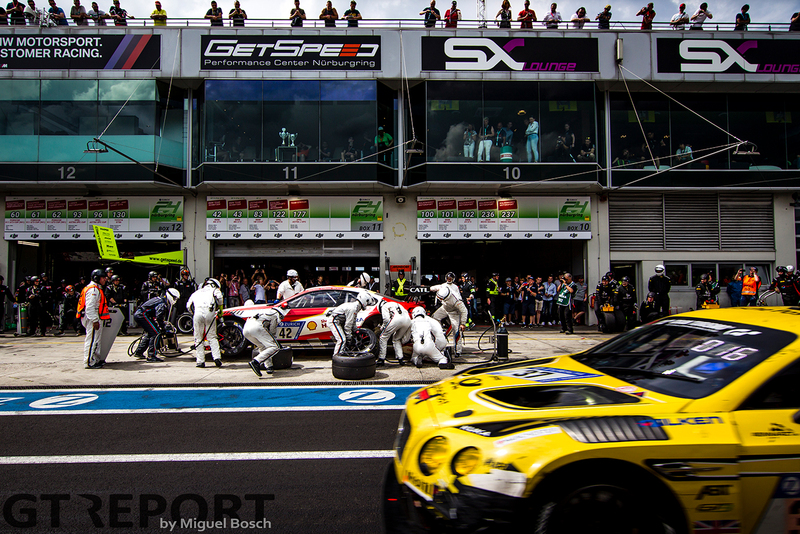 The armada of Dunlop-shod cars, of which the Audis joined last-minute after the Michelins proved to be struggling in the afternoon heat, races on for the hours to come, leaving many of the GTs on Michelin tyres in their trails. 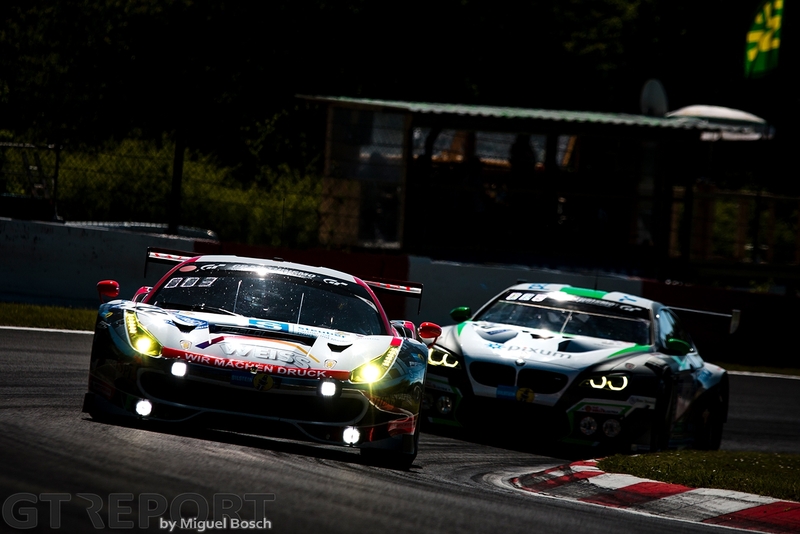 While Dunlop stays on top, the James Glickenhaus-led Traum Motorsport team does not. At the first round of pit stops the number 9 WRT Audi jumps to the lead, but the group of leaders remains intact and is joined by the number 98 Rowe Racing BMW M6 GT3, the only Michelin squad able to manage the tyres well enough to follow the leaders’ pace. The SCG003c will never get this close again, fighting for the podium but crashing out the next day shortly after noon. Also part of the lead group is the number 29 Land Motorsport Audi R8 LMS GT3. Kelvin van der Linde started from the front row before dropping back several places during the opening laps. The South African, however, rejoins the frontrunners early on before taking the outright lead a couple of hours into the race. 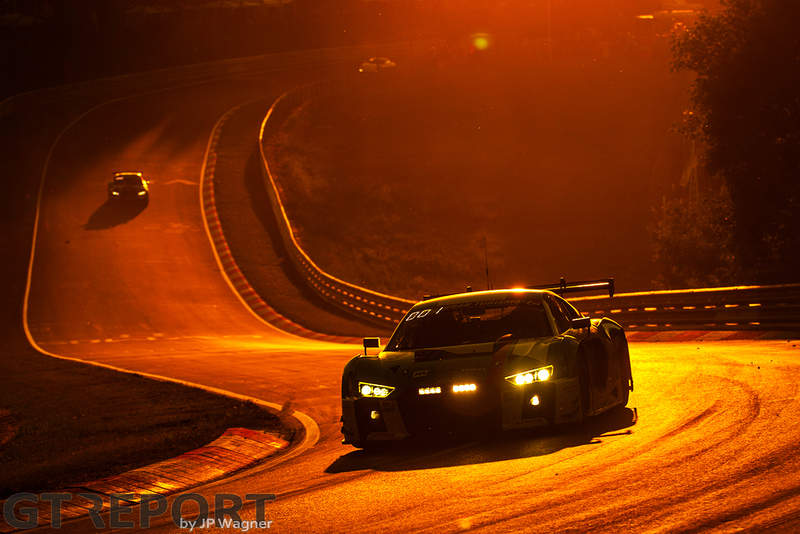 At nightfall Audi is still in control, the mean-looking headlights crossing the finish line first at the start of every new lap. Although the temperatures have dropped slightly, Land Motorsport isn’t letting go of the lead, even when WRT and Rowe, the latter no longer hindered by rapidly degrading racing rubber, are picking up the pace. 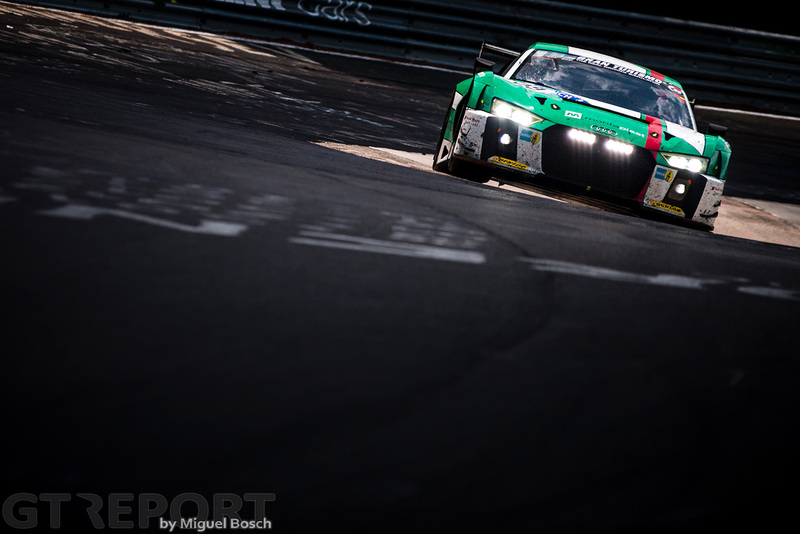 Audi Sport’s hold on the race has been loosened up a bit, however, as both the Phoenix Racing Audi R8 LMS GT3 and number 10 WRT Audi that ran at the front early on, hit trouble before the sun dropped below the volcano-marked horizon of the Eifel. The day is breaking, Land is still there. Their bodies are tired but minds wide-awake. 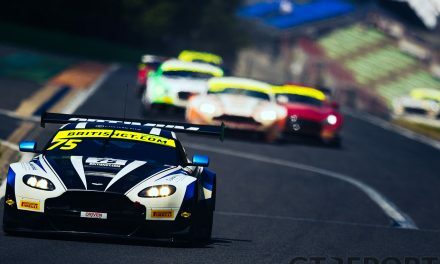 Connor De Phillippi, Christopher Mies, Markus Winkelhock and Kelvin van der Linde keep cycling through their stints in a power play balancing between the impressive and the repetitive. Victory becomes more tangible as the hours pass by. The clock counts down to 1 hour and 35 minutes to go. With the end in sight, De Phillippi enters the pits for the final driver change to let Van der Linde take it to the flag. When rejoining the race, Van der Linde’s not gathering speed, instead slowly rolling downhill towards Müllenbach with nothing but low power output from the V10 engine. Frantic attempts to reset the car while driving are futile. 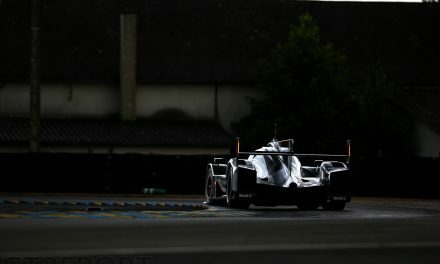 He must return to the pits immediately and let the Audi engineers take care of the electronical glitch. Rast has already left the pits and gone into the lead. One stint and then some are all that remains for WRT, but the Belgians aren’t given any time to catch their breath. Nick Catsburg in the Rowe BMW is charging at the Audi from a distance of 15 seconds and runs a different strategy from the Audis, while Van Der Linde in the Land Audi refuses to give up and pushes the number 29 Audi to its limits to win whatever’s left to win for Land. Rain was always expected for Sunday, it was just a question of whether it would come in the afternoon or the evening. The definite answer comes with half an hour to go when the heavens over on the north side of the track open. The rain coincides with the window for the final splash and dash. Now with a partially wet track, there’s a crucial strategic choice to be made: Change for rain tyres with the risk of overheating the threaded rubber if the rain stays local, or keep the slicks and hope the rain doesn’t set through. Whatever WRT does, Rowe and Land will follow. 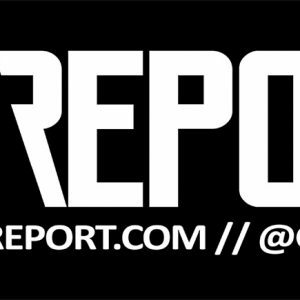 The leader comes in: WRT opts for no change. Rowe arrives: No change either. 90 seconds later Land pits: No change, the Audi takes in only fuel. Land’s crew drops the car to make sure Van der Linde is ready to drive off immediately when the fuel is in, but the driver immediately starts the engine and tries to leave while still being filled up, throwing away valuable seconds as the fuelers scramble to resume refueling. It’s a blessing in disguise: In the time lost, the team changes its mind. Quickly the slicks are taken off and rain tyres fitted underneath. 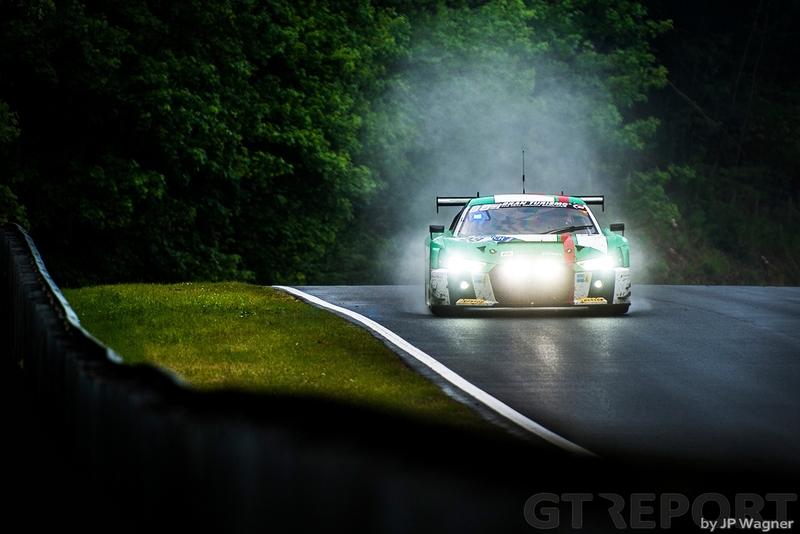 Away Van der Linde goes, ready for the drenched parts of the 26 kilometre long Nürburgring. The first kilometres signs flash by as he slides all over the place, waiting for the grooved rubber to catch onto the still hot and dry tarmac. The closer he gets to the town of Adenau, the darker the sky becomes and raindrops begin to appear on the windscreen. Where others are snailing around, Van der Linde is flying through the rain. Catsburg is quickly reeled in and moved down to third place. On his way to catching Rast there’s no stopping the Land Audi. Van der Linde slices and dices through traffic, using every bit of the track, whether it be tarmac, grass or otherwise. Rast is running out of time. His only chance to salvage any kind of a result is by coming in once more and this time take on rain tyres. Without them he isn’t going anywhere. When Rast veers off into the pits, Van der Linde is a couple of hundred meters away from his former ADAC GT co-champion, having closed a gap of a minute and a half since the botched-turned-lifeline pit stop onelap ago. Van Der Linde races past the pit lane and brings Land Motorsport back into the lead for the first time since the 23rd hour, taking back what was theirs for nearly the entire day. One more lap is all that’s left to survive, there are no more competitors at striking distance. Rast leaves the pits on rain tyres but is already down and out. The German stands no chance as he struggles to make it through the last minutes of the race, unable to do anything against Catsburg who snatches second place from Rast at the wet and slippery Adenauer Forst section. Having shined throughout the whole 24 hours, Van der Linde puts one last brilliant lap together before flying-by the Land pit wall where an ecstatic Land family, team, supporters and co-drivers De Phillippi, Mies and Winkelhock welcome the Audi R8 LMS GT3 back after the race of their lives. 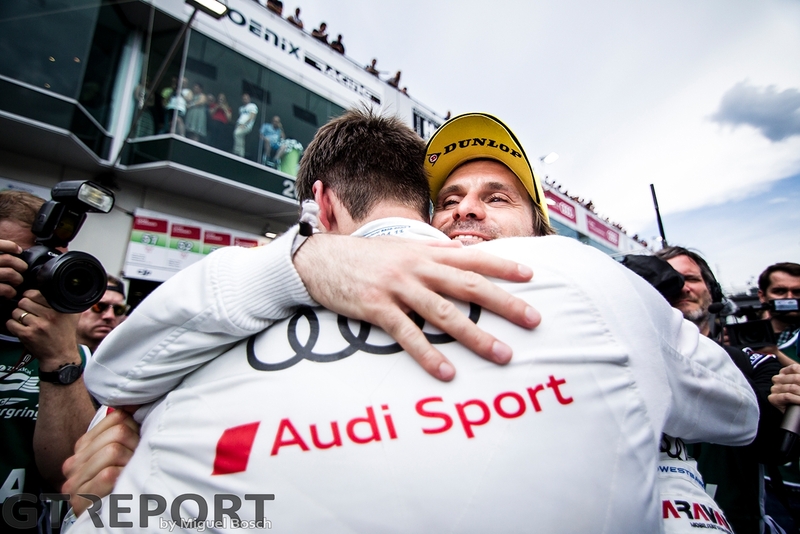 After decades of motorsport, Wolfgang Land victoriously waves the red flag of Audi while underneath him his Montaplast-stickered Audi returns home. Around him people erupt in celebration. 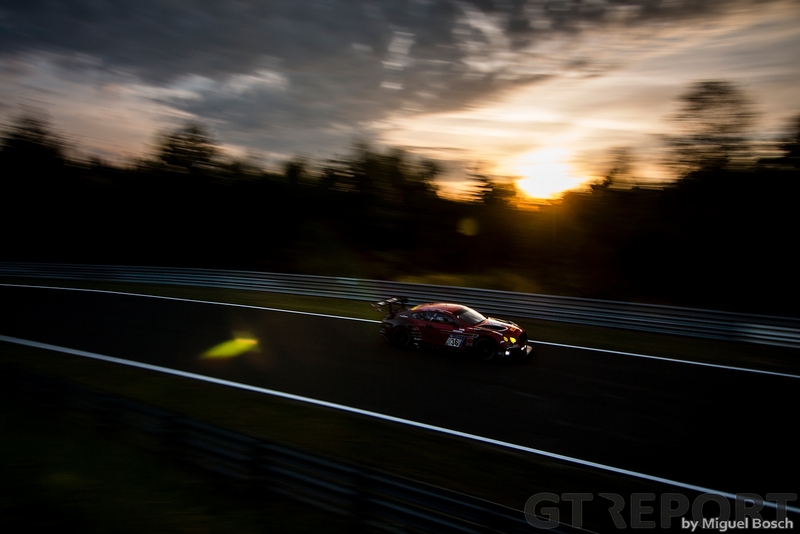 He’s finally found his 24 Hours of the Nürburgring glory.